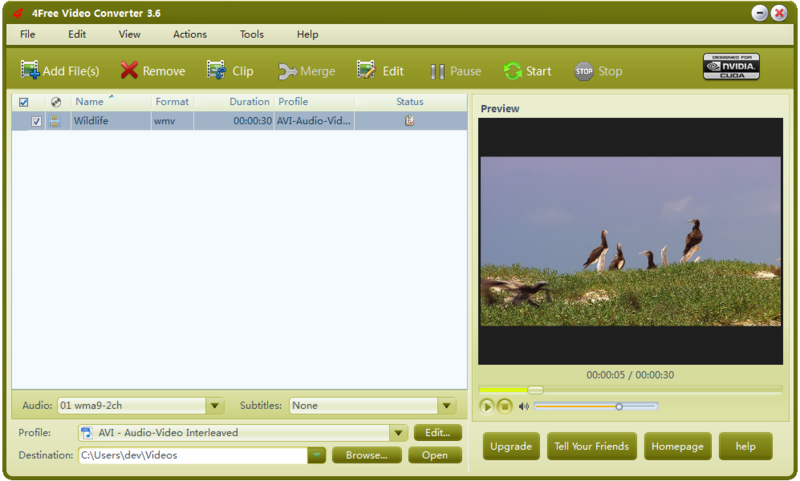 Description: 123 Video Converter is a powerful and easy to use video tool to CONVERT and SPLIT video files. It also can extract audio tracks. Convert Video to AVI (DivX,Xvid...) Convert Video to MPEG-1/MPEG-2 Convert Video to WMV (Zune, Pocket PC, Palm...) Convert Video to MOV/QuickTime Convert Video to iPod/PSP/MP4 Convert Video to 3GP/3G2 (Mobile) Extract Video Clips Extract Audio Tracks For more, please visit http://www.dvdvideotool.com . Description: 1st DVD Cloner --- Genuine clone DVD to DVD software! 1st DVD Cloner Make copying DVD's with your DVD burner a reality and the DVD-R/RW, DVD+R/RW copied by 1st DVD Cloner is the same as the original DVD movie, in true DVD format. It adopts MPEG2 format. DVD films burned by 1st DVD CLONER with the audio and video are as perfect as the original DVD. Description: 1st DVD ripper is a DVD Ripper and copying software which copys DVD to VCD/SVCD/DIVX/MP4 files. 1st DVD Ripper provides a powerful wizard which helps you to complete conversion setting in several steps. You can also choose to convert a specific segment of DVD movie by specifying time frame or chapter if you do not need to convert the whole movie. More attractions include bitrate options, user-friendly interface, and excellent resulting quality. Description: 1st PQ DVD to iPod Video Converter is released. It's a one-click, all-in-one solution to convert DVD, Tivo, DivX, MPEG, WMV, AVI, RealMedia and many more to iPod Video. Description: 3D Sci-Fi Movie Maker is a multi-purpose creative tool. It can be used to produce scenes for inclusion in home made machinima movies. It can be used to animate the wide variety of free 3D models that can be found on the net. It can even be used in a professional development environment as a quick an easy way of previewing a 3D model in a game like environment. 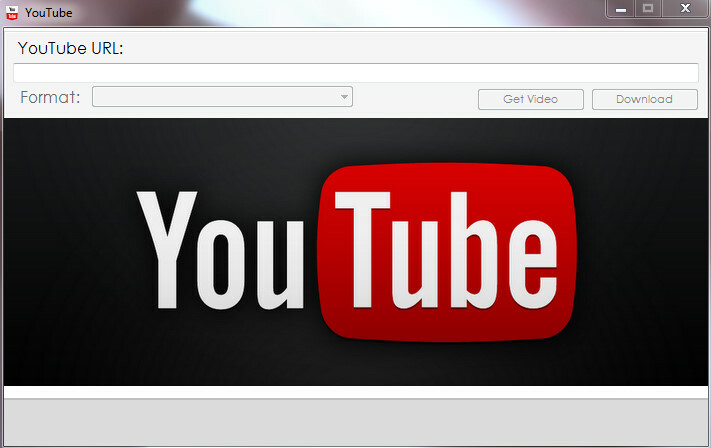 Description: YouTube Free program designed for any internet user to quickly and easily download videos to their computer. Features of YouTube Free: * Beautiful and intuitive interface * The ability to download videos in different formats * Absolutely nothing more to say. Just a quick download and you're on the way! Description: 4Free Video Converter supports converting nearly all popular HD/SD video formats for watching them on PSP, PS3, iPod, iPhone, Apple TV, Xbox, mobile phone, PMP, and other multimedia devices. It can also extract transform between audio files and extract audios from videos for making any music suitable for digital devices. Aside from these, you can extract pictures from videos and create video from photos as well. Description: 4Free DVD Ripper rips DVD movies to AVI, MPEG, WMV, DivX, MP4, H.264/MPEG-4 AVC, RM, MOV, XviD, 3GP videos, as well as rips DVDs into MP3, WMA, WAV, RA, M4A, AAC, AC3, or OGG audio files, making them fit iPod, iPhone, Apple TV, PSP, Zune, mobile phone or other digital devices. 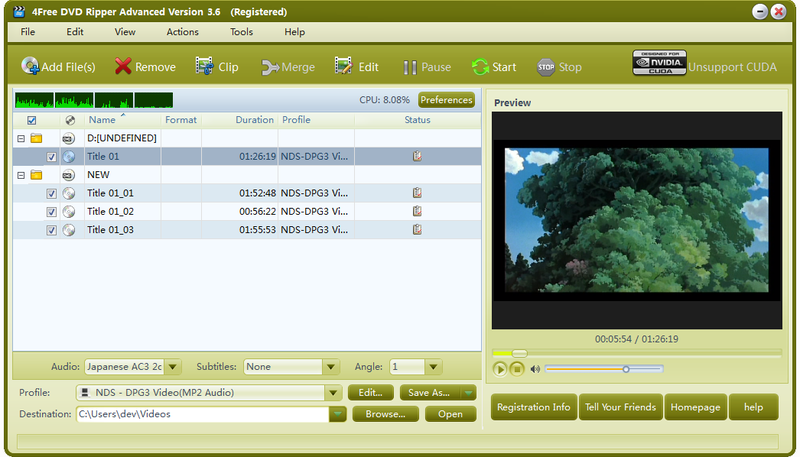 This DVD rip software lets you clip/split/merge videos, crop video size, change image effect, and add watermarks/subtitles/soundtracks to your ripped videos.